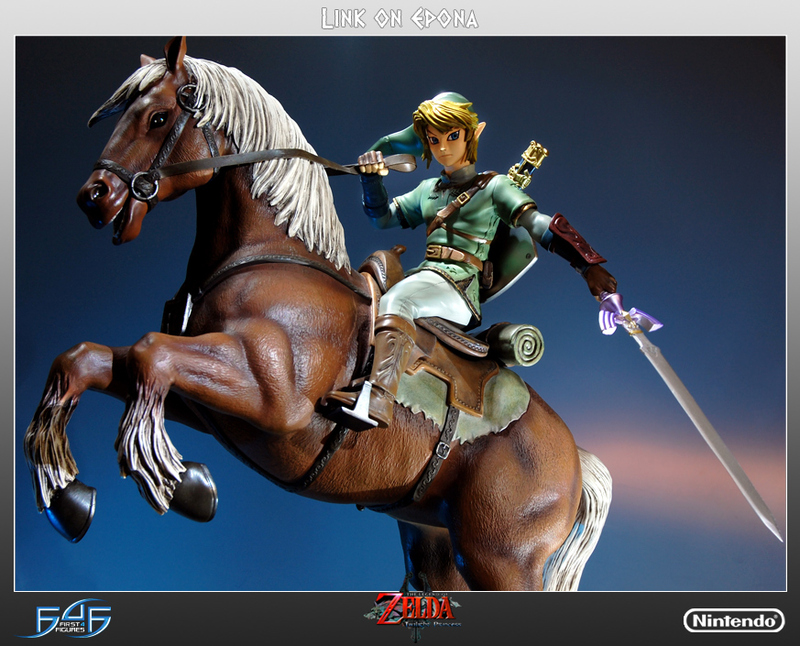 The new "Link on Epona" statue from First 4 Figures is lovingly crafted, exquisitely detailed and expensive as hell. 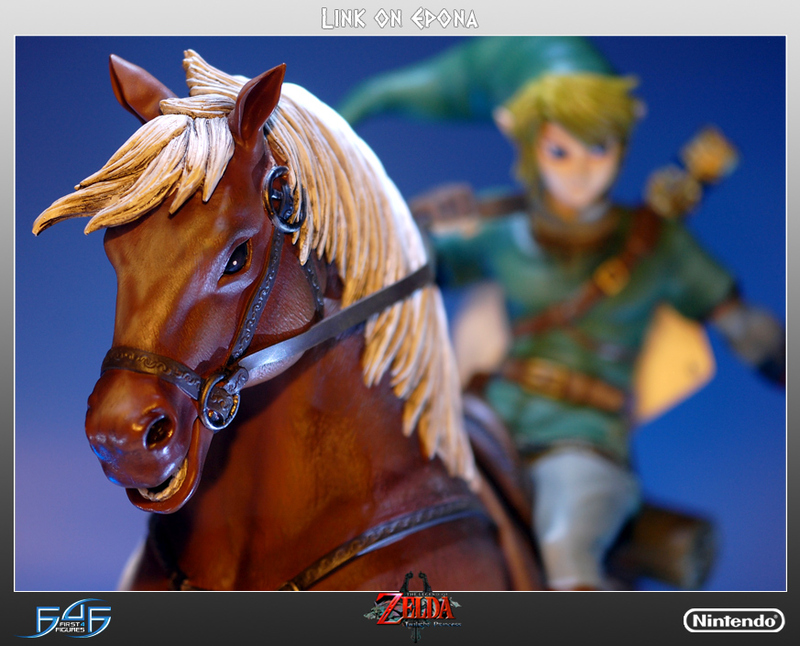 I'm not a Legend of Zelda guy but even I have to admit that this "Link on Epona" statue is a gorgeous piece of work. 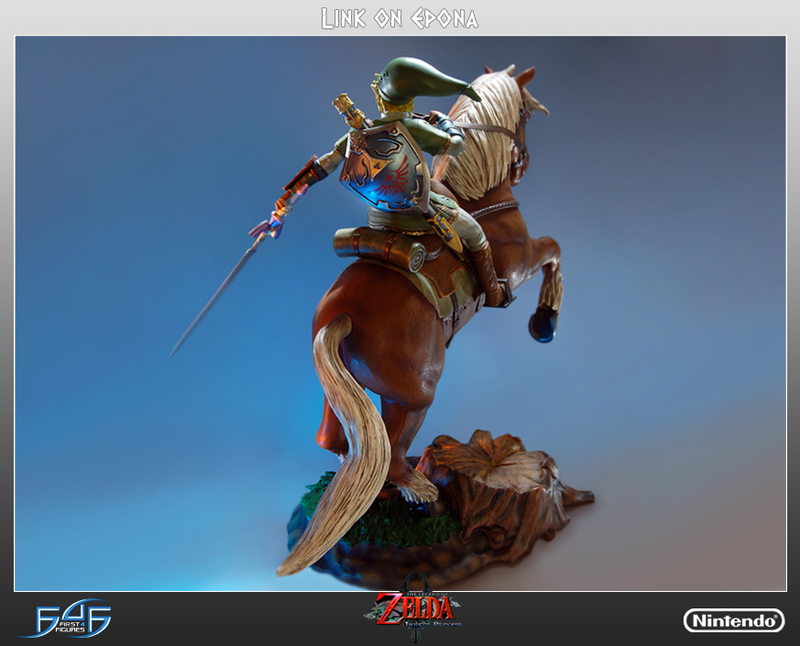 It's entirely hand-painted to a remarkable level of detail, depicting Link, sword drawn, upon his faithful steed Epona, reared back and ready to charge. It's a hefty piece too, standing 17 inches high and 16 inches long, cast in hand-finished poly-stone. 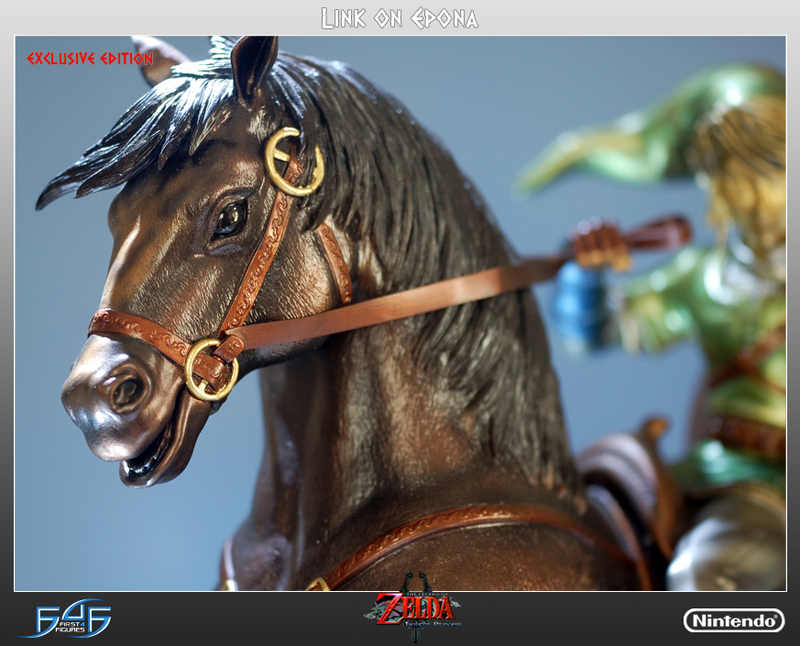 "Link on Epona" will be available in two editions, Regular and Exclusive, although both will be produced in very limited runs. 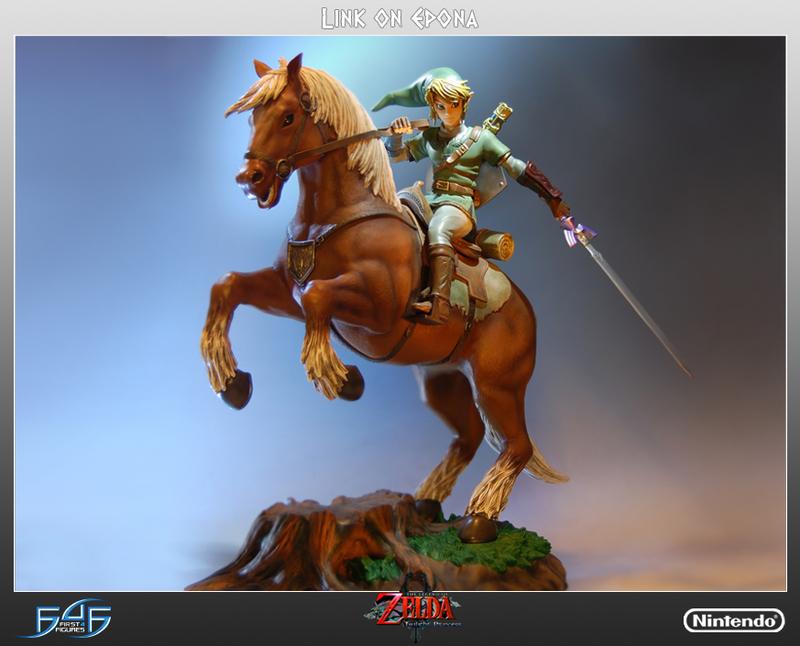 Production on the Regular statue will be limited to 1500 pieces, while only 500 of the Exclusive edition will be made. 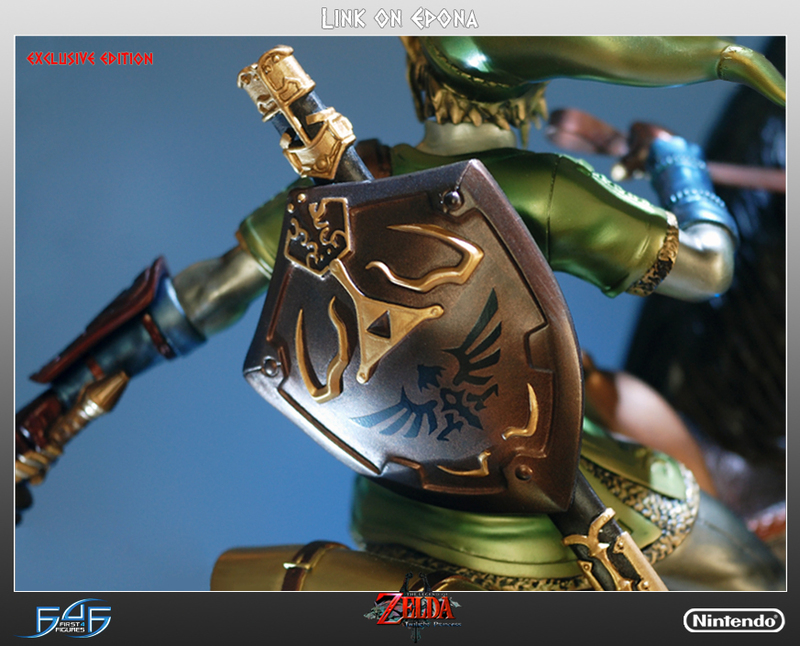 Both versions will include a numbered base and an authenticity card allowing buyers to purchase the same number of the next model in the "Master Arts Twilight Princess Center Pieces" series. And how much would you pay for a fine piece of art like this? Personally, I'd draw the line around 20 bucks but that probably wouldn't even get me the box this thing comes in. 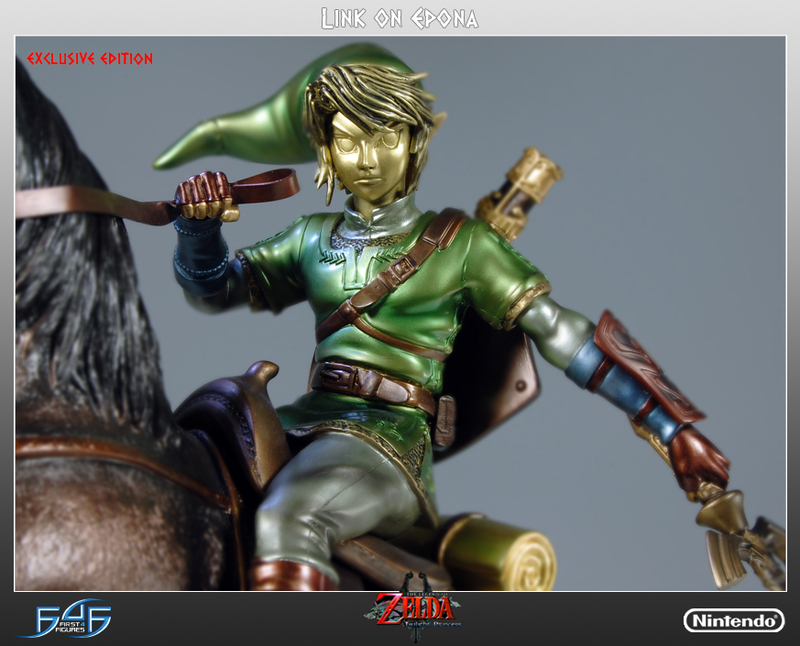 No, this bad boy is for serious fans only: the Exclusive edition of "Link on Epona" will set you back $450, while you cheapskates out there can pick up the Regular edition for only $425. Yeah, that "only" was ironic. 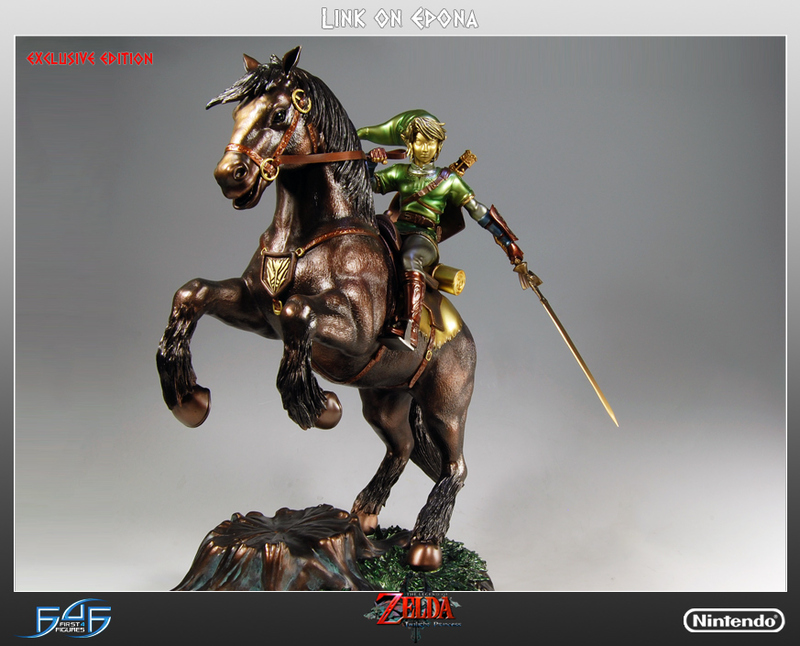 It is a lovely piece and I guess there are people who buy this stuff, since this is the third in a series of four similarly-priced Twilight Princess figures. But 450 bucks? I dream of the day when I have that kind of money to blow on a piece of licensed videogame memorabilia.